I am also thinking about moving to another site...but if I do that I will have to do a lot of things so I can transfer everything from this blog the new one. I will still be thebigapplegirl.com but just a different host. So yeah, Christmas is here! 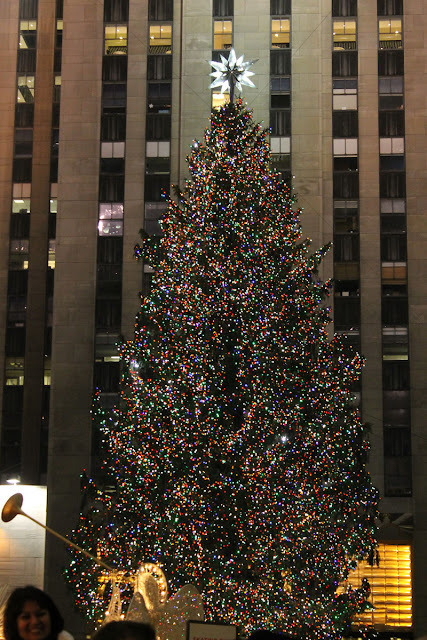 I have mixed emotions, I don't even feel like it's Christmas even if Manhattan looks really beautiful and "Christmasy". Oh, and I met Michelle Phan! She's so sweet! Love her! LOVE IT!! :) I know.. Blogger is giving tons of problems too.. I'm still thinking about what to do too..Your both so pretty! Love your purse girl. :)dang.. she has flawless skin!